If you’re thinking about diversifying your real estate investing portfolio, and perhaps looking beyond the traditional investing methods of single family property rehabbing or rentals, you might be looking at investing in real estate notes. If you are looking into notes further, read these 4 tips for working with real estate note brokers in Florida. Although there are many ways to measure the success of a real estate note broker, one way is through how many testimonials and case studies they have. Do they have a lot of testimonials? Do they have a lot of case studies? (Sometimes they might have one or the other and that’s okay). Ultimately, you’re looking for someone who can show that they’ve helped others. Click here to see our testimonials. A great place to start working with real estate note brokers in Florida is by reading this blog that you’re reading right now and seeing what information is available and how you can apply it in your investing. But then go deeper by getting in touch with the note broker to see if they have other ideas, insights, or even educational programs that can help you. 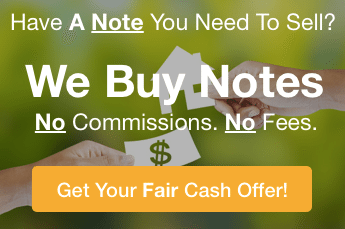 To learn more about notes, about how we can help you invest in notes, or to see our inventory of notes, just pick up the phone and call our team at (772) 232-2383 or give us your contact info and we will contact you to help you in any way that we can.